The highly skilled team of Study Directors is supported by a Principal Reproduction Toxicologist with more than 35 years’ specialist experience. All of our toxicology study directors are cross trained in general and reproduction toxicology - a policy that places us in a unique position for the expert conduct of combined toxicity/reproduction studies and juvenile toxicology studies. 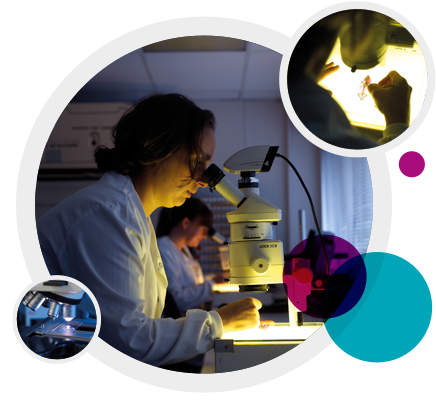 Unrivalled technical expertise is provided by a dedicated foetal pathology group and specialised animal and necropsy technicians. The foetal pathology staff offer experience in all aspects of foetal evaluation for rats, rabbits, mice and minipigs, including both single and double skeletal staining techniques. We have a comprehensive historical background database, which we regularly review and update, to support all types of Reproduction Toxicology studies.